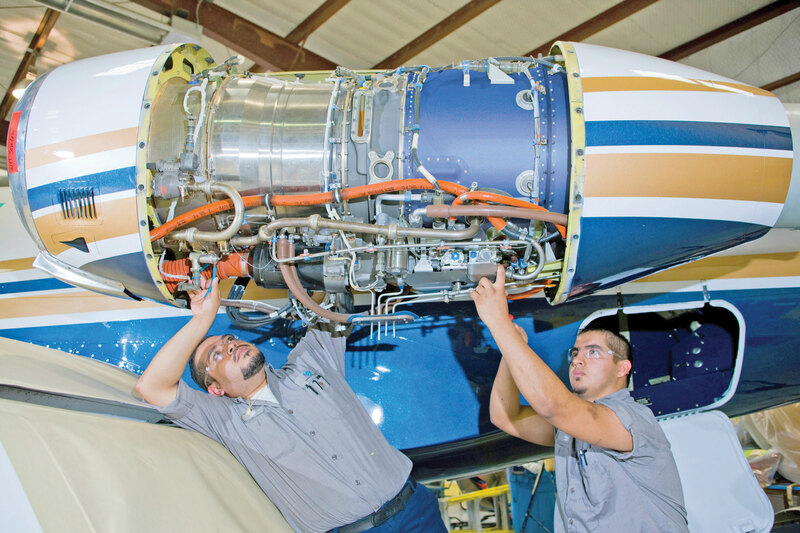 While Sierra may be reticent when it comes to serial-production remanufacturing programs, Nextant Aerospace jumped in with both feet. The sister company of fractional provider Flight Options was formed in 2007 for the purpose of remanufacturing the Beechjet 400A/Hawker 400XP and refitting it with Williams International FJ44-3AP engines, Rockwell Collins Pro Line 21 avionics, airframe and systems improvements, and an updated interior. Recently, Nextant conducted the first flight of its second remanufactured airframe, the G90XT, which installs GE H75 turboprops and Garmin G1000 avionics in the King Air C90. The G90XT package has a bring-your-own-airframe price of $1.95 million. Certification is expected in the second quarter of this year, followed by production of five aircraft by year-end and significantly more next year. Nextant says that its G90XT will best new-production aircraft with features that include digital pressurization control, dual-zone air conditioning and single-lever power control. Ikhana was formed in 2007 through the merger of R.W. Martin (RWMI) and Total Aircraft Services. RWMI held numerous STCs for the DHC-6: mtow increase to 12,500 pounds and re-lifed wing box, nacelles, flight controls and fuselage. All these components have hard life limits that are, in several cases, substantially less than the overall airframe life limit. Ikhana has combined these along with factory fresh Pratt & Whitney Canada (PWC) PT6A-34 engines and new interiors in the Twin Otter X2 package, giving owners of timed-out aircraft an economically viable alternative to buying a new aircraft. (The DHC-6 has a life limit of 66,000 hours or 132,000 cycles. Customers can also purchase STC installations individually.) Ikhana is working on an STC to raise mtow to 14,000 pounds and hopes to have that in hand by year-end and added to the X2.